An in-line conveyor belt parts washer is essential for automated flow through processes. Highly engineered and rugged, Almco's in-line conveyors offer multi-stage machines capable of washing, rinsing, blow-off, rust inhibiting, and drying for a variety of sizes and applications. 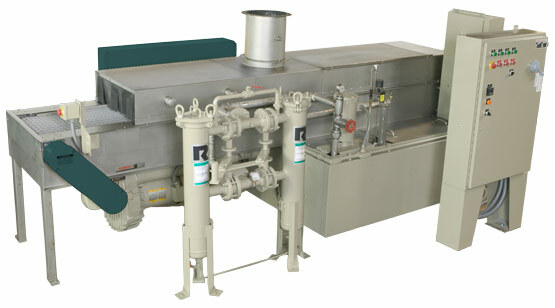 Whether you need a standard model (below), or a custom solution engineered for your specific needs, you can save time and money with an Almco parts washer. Belt widths from 6" to 60"